Occupy Wall Street is a carnival. Both detractors and supporters say so. The most amusing part of the show is watching the rush to join it. When Deepak Chopra and Suze Orman endorse the cause, you have to wonder about its revolutionary bona fides. Democrats have also flung themselves in the direction of Zuccotti Park—but in their pursuit of the movement they may damage themselves and hinder the protests’ potential to do tangible good. The catastrophic misdeeds of bankers should have been political gold for Democrats—the strongest case for a robust regulatory state one could make; an opportunity to corner Republicans into defending banks that have inflicted so much misery. But the Democrats’—or rather Obama’s—strategy strangely didn’t point in that direction. At best, we can describe Dodd-Frank as a marginal step in the direction of reform. And in the course of the ongoing battle over implementing the law, the legislation will likely be reduced to a marginal half step. When the Obama administration whispered that it had some qualms with Wall Street’s behavior, the bankers acted as if they were being led to the gallows—a response that spooked the administration into refraining from any further forays into populist rhetoric and provoked it to send envoy Valerie Jarrett on peace-making missions to Wall Street. It is, indeed, maddening enough to make you rush to the barricades. With just over a year until the election, Democrats have finally realized that they have a major problem on their hands. Where the Republican base is fired up and ready to go, liberals are despondent about the dissipation of their messianic hopes. By failing to speak to the public’s anger, the president has given ample space for Republicans to grab that fury and, amazingly, turn it against Washington. Or to pan wide on the scene: Obama has annoyed both his political base and his donor base, while doing not enough of substantive value on the underlying issue. The Democrats have aimlessly meandered into dire political circumstances—so they are desperate for any cause for hope, no matter how implausible. Protests movements, with their outpourings of camaraderie and idealism, often lead to lyrical writing and wishful thinking. Some Democratic politicians and think tanks apparently now see a scenario for salvation in Zuccotti Park—a possibility that the protests could morph into the Democratic answer to the Tea Party. Perhaps Washington operatives could descend on the movement and drive it in that direction. But that seems like an awfully daunting task, given the scene on the ground and the ideological tendencies of Occupy Wall Street—and it misreads the symbiotic relationship between liberals and the left. Let’s say Occupy Wall Street can overcome its self-limiting strategic philosophy, develop some concrete goals, and blossom into a full-fledged social movement. Over the long-term, then, liberals will want to position their reforms as the most reasonable mechanism for staving off the radicals. That’s how FDR played it—“Liberalism becomes the protection for the far-sighted conservative.” But you can’t triangulate against a social movement if you fully embrace it. On one level, the protests have already wildly succeeded. They have helped remind the public of how blame for the crisis should be properly apportioned. And when Eric Cantor mouths the words “income disparities,” you know the conversation has shifted. But as the protests drag on, will they continue to be beneficial? To answer that, the protestors need to answer, at least for themselves, the question: Will they work to actively undermine Barack Obama’s reelection? Under the best scenario, this moment emboldens Obama to rhetorically cudgel Wall Street, lock arms with Elizabeth Warren, and make symbolically potent appointments to his economic team. His turn towards populism reassures his political base and helps him paint Mitt Romney as the tribune of the economic royalists. While the movement continues to harp on Wall Street, and maintains useful pressure on him to overcome his cautious instincts, it does nothing to actively campaign against his reelection. This shift would set the stage for a second term that would further financial reform and take other measures against income inequality. 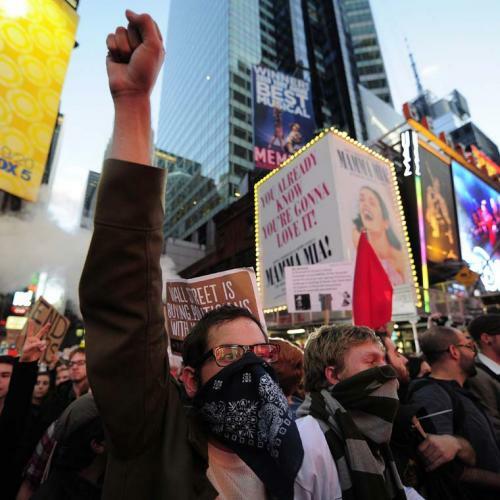 There is, however, another, plausible possibility: that Occupy Wall Street is poorly timed. After all, there’s no legislative debate to usefully prod at the present juncture, but there’s a chance to scupper the president’s re-election. As John Nichols cheers in The Nation, the “movement might well develop into a virtual primary challenge to Obama.” Even if Obama attempts to co-opt the message of Occupy Wall Street, the movement will likely continue to harp on his inadequacy. (Many of the complaints with Obama unfairly view him as a central villain in the crisis, rather than a disappointingly ineffectual foe of it.) Protests might erupt at the convention in Charlotte that overshadow his case for reelection; all this further diminishes enthusiasm for his candidacy. Or worse, a third-party candidate emerges and we know how that story goes. Indeed, much of the gripe with Obama reflects the canard that a Republican president wouldn’t be worse. I hope the protesters are surrounded by allies who remind them it actually can get much worse. 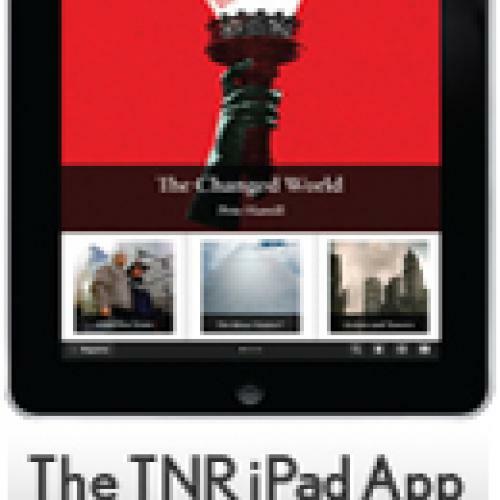 Franklin Foer is an editor-at-large for The New Republic and a Schwartz fellow at the New America Foundation.